Some soul mate couples refuse to grow. They refuse to resolve each of their core issues, which are the true sources of their personal pain. As a result, those soul mates are lost to each other for this life. This is a sad choice for both of them. And then there are the others, and I do hope you are one of them, who consciously choose to say: No matter how long it takes, I will heal within, and I know that as long as I put forth a grain of effort each day, eventually I will walk the sands of the most peaceful beach with my true match by my side. It is only your choice. For if one of the soul mates chooses to grow and the other does not, they must part. Spiritual, universal law forbids that one soul mate may evolve and remain with the other if the other chooses not to evolve. That is the only reason many soul mates do not share the remainder of their lives together. But they never forget each other. They long for each other, and they yearn and cry for each other in the dark of night when not another soul sees their tears. The struggle to grow is scary; it is not easy, yet it can and must be done. It will be done. No matter how many lifetimes it takes, eventually you will choose to grow. After all, what is being asked of you is what you have actually asked the other to come into your life for: To stand by your side and be there for you, so you know that there is one special soul who is there for you always and in all ways; to comfort you when you feel afraid; to be your best friend when the rest of the world turns its back; to challenge you to be your best even as you are loved and accepted you when you display your worst. This is a gift. This is rare. Yet this is what you are entitled to, for you have chosen to grow. You have chosen to heal, and you have done so for important reasons. Did you ever look within and actually feel afraid of your own individual power? Did you ever truly know, somehow, somewhere, that there is something you came into this life to do, something so beyond the ordinary expressions of individuality of the masses on this planet that you turned away, turned away from your very self? And when you met your true match, did you see that your soul mate also has an inherent gift for humanity that is unlike most of the masses inhabiting the planet? Did you consider that, like you, your soul mate was at one time afraid of his own power, his own potential – and needed the unconditional acceptance and support of his true match? Did you consider that, to feel secure, he needed to turn to the only one who could understand him and be supportive when the rest of the masses simply could not relate to him? That is why I say that only about two percent of human beings are actually with their true soul mates in this life now. These are the people who, although not better than the others, have more to contribute to and for the others. They do not have many friends because there is not another except their soul mate to whom they can truly relate. When you meet your soul mate, you recognize a quality, gifts, potentials, and contributions to humanity and to this universe that the vast majority of others cannot fathom, nor would they care to. You have chosen to meet to support each other, to be the best friend, the one who understands. You can show every side of yourselves to each other, and it will always be perfectly all right. Soul mates cannot deceive or hide from each other because they can see right through each other. Your soul mate feels your energy. You communicate on a spiritual level that is difficult to describe; you have an innate, intuitive, psychic connection. You “know” the other, but your knowing is much more than an understanding; as rational as you try to make it all, you cannot come up with any logical explanation. On the spiritual, nonphysical side, where your souls exist, your higher selves, you see the colors in your energy patterns change, and this is communicated to you in your physical life. This concept is still too foreign at this point in human evolution for most people to understand. To put it simply, your spiritual selves “see” what you are going through. In this physical world, when you look at the face of the one you know and love, you can often tell from their expression what they are thinking or how they are feeling. It is the same in the nonphysical side, only it happens with energy patterns of light and color. So you cannot fool one another. Your growth has to be genuine. As you grow, you feel better about yourself. You also see that your perfect match is right there, has never left your side and never will, as long as you continue to grow, even if only one grain at a time. * The grander purpose of the soul mate reunion. As the grains of sand accumulate, the higher or grander purposes of the union with your soul mate become more obvious to you both. You realize – although you may try to look away, afraid of the light on the path you have chosen to take – that those reasons are, in fact, your truest reasons for coming into this life. You realize that you are more than your own personal challenges and growth efforts; you are your essence, and your essence is here on Earth at this precise time and place because it is needed. You are needed, together. If you look closely, as you would under a microscope, you will see that one half of the soul cannot ever achieve, contribute, or bring forth the results it can when both halves are combined. You are distinct in each of your roles; distinct in each of your vast talents and abilities; yet, you share a common vision. Only when your efforts are combined will you succeed in achieving the purposes you strive to attain. How can you bake bread without water? How can you bake bread without flour? The flour and water must be combined. Analogously, each soul mate carries the substance that, when combined with the other, produces the results which shall contribute to this universe the very reasons why you each chose to be born into this life. Evolution may appear to be simple, but it is actually quite complex, involving billions of years and billions of energies all working together for the creation of the greater good. Even so, you and your soul mate, combined, are an important part of the evolution of the human species. One soul is no better than another. Every human being is needed to help the species progress. So you decide to be all you came into this life to be, to be the dearest and best friend to your soul mate; for who other than the one who shares your same energy could better understand your every nuance? You agree now that you have a purpose. Your first purpose is to grow and heal individually. Only then will your larger purpose will be made real. The path shall be very clear. There will be no ambiguity for either of you. You will each know what you are here on this Earth to do. You will each clearly see how perfectly your purposes blend. You will also come to feel a deep appreciation of how special and rare it is to find a true friend, to have someone in your life whose hand you can always hold no matter what life brings. Their solitude shall always bring you solitude of your own; their comforting and smiles shall bring you warmth; and their bodies shall always feel as soft and as comfortable as your own skin. This is the bliss of the soul mate reunion. This is the paradise, the gift, of living in a physical life, creating your own heaven on Earth, as you reach deep within to unleash and finally clear the negativity that previously held you back, the negativity you have surely outgrown. You will find that neither of you will allow the other to give up, give in, or settle for being less than your very best. Yes, you can have bad moods. Yes, you may act like two year olds and throw temper tantrums, but as people with responsibility toward yourselves and ultimately toward the advancement of humanity, you will not permit each other to grow complacent or languish in laziness. So you may find that each of you will always be eager to show the other all you are doing, and this brings joy and excitement into your relationship. When you stop running, you find freedom and true inner peace. You may run from your soul mate, you may run from the knowledge of your potential and the inherent gifts you chose to be born into this life to give, but you cannot hide from them. They will always exist within your heart, your mind, and your conscience; and the day will come – perhaps on your last day on this Earth, perhaps this evening – the day will come when you will know who you are, who your soul mate really is, and why you are here. Imagine the joy and exuberance that await you as you come out of hiding, when you stop running, when you look beside you and see your treasure, your gift, the one person who will never let you down. The one person who sees, who knows, who accepts all of you, who shares so much of you. That one person patiently waits for you to allow your best to flow from your being, waits for you to be who you really are. This is your gift to humanity and to this universe: to be you, and to treasure every moment. Release the fear. Be free. Hold nothing back. As you and your soul mate see each other, you recognize how fortunate you are to be able to journey through this life together, for as you know, there are only a few souls to whom you can truly relate. When you have found one another, be glad, and then be all you came here to be. Be yourself, and your soul mate will remain by your side, still doing his own work, in his own way, expressing his own individuality. His issues trigger your growth. Your growth then challenges him to grow. Your inner peace must come from your own individual healing, not from the healing of your soul mate. Your peace comes from within. It is from within each of your souls that your deepest truths and life purposes must be revealed, expressed, accepted, understood, and nurtured – first by yourself and then by your soul mate. Once your truths come to the surface, you will find that the love and bond you share will sustain you through the difficult process of individual growth and healing. As you achieve the personal healing of your deepest growth issues, you will feel inner peace. Then, together, you will experience the treasured bliss of the soul-mate union. After all of the turmoil, you will look back and realize that the process was necessary for healing, so you could, in fact, remain together and once again create your own heaven on Earth. © Copyright 2001, 2003, 2011 by Barbara Rose, All Rights Reserved. Excerpt from Individual Power: Reclaiming Your Core, Your Truth and Your Life. Published by The Rose Group (2003) ISBN: 097414570X. This entry was posted in Browse Answers from God, Browse Relationships and tagged Barbara Rose PhD, BORNTOINSPIRE, Guidance from God, HEADLINE EVENT, how to make a soul mate relationship work, Relationship Guidance, Soul Mate Dynamics, Soul mate relationships, soul mates, the complexity of soul mate relationships by Barbara Rose, PhD |Born To Inspire | Bestselling Author| Life Transformation Expert. Bookmark the permalink. And please do suggest me some books among your collection that can be therapeutic for me. Coz I find some of the titles very close and I did not understand how to choose. 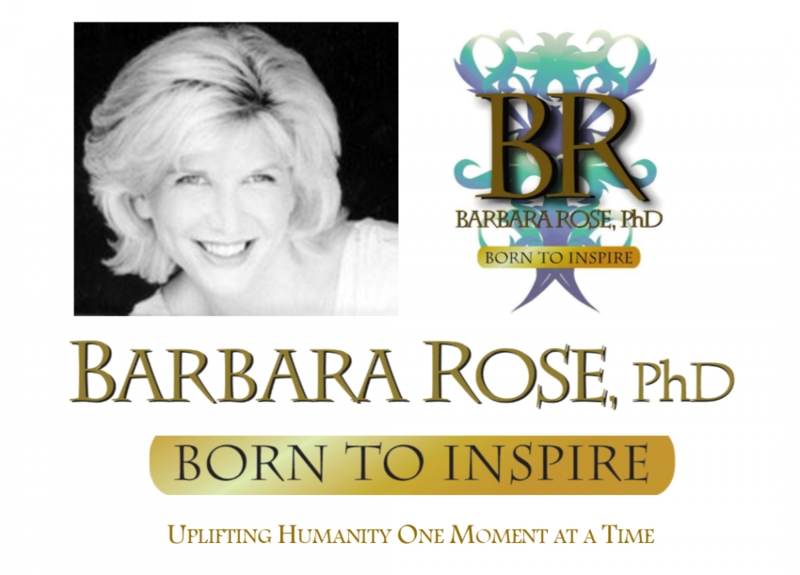 I read both of your comments and strongly recommend the book “Stop Being the String Along and Know Yourself: A Woman’s Guide to Wholeness, Radiance & Supreme Confidence You can download them from this website https://borntoinspire.com/bestselling-books-barbara-rose/. know this will make a huge difference for you! I have previously asked you for a relationship and it helped me a lot. I am in need of your advise again. I will brush up my story since its been quite a long time. I am a very insecure kinda person with very low self- esteem(due to my troubled childhood with constantly quarrelling parents) and I always throw myself into a constant cycle of relationships and chaos. But God has blessed me with a good brain am now into the medical profession. However mature i tend to become, because of both my experience and age, this cycle has not broken. I am currently in a long 3 and half year relation with a guy( its unbelievable since it is The longest relation i have ever been). He is a nice guy and both are from the same profession and so I thought everything was fine and it will get somewhere. I even asked him to marry me out of my insecure feelings and we got engaged like three years back. At that time he was taking his Step exams and i was still a student , and I told him I wanted to marry only after, I complete my graduation. Later i was busy with my final year and unfirtunately he happened to fail in his exam. It was the same time when I completed my graduation. He then persuaded me to move in with him and help him with his studies. Since I was also supposed to clear the same exams,I thought ok we can study together. From that day on, everything changed. He does’nt let me help him however hard I try. He constsntly plays online poker or videogames. I know he os ashamed of his failure by the act that he did not let anyone, his parents or his friends to know about it. He seldom helps me with household chores. He doesnt even do a job for Godsake. He thinks that I should get into a good position, earn a lot and give him the money so that he can do some business. He is just so lazy and I am shocked I never realised it. He expects me to take responsibility of him. Even then I was ready to take it, I just wanted him to clear his exams. After 1 year of hardworking I completed my exam with a very good score and he is still at the same place. Stuck and afraid to move forward. On top of that he used to abuse me with a lot of bad words. He has these unrealistic dreams of buying a casino or a big motel and doing business. He says that it will only keep earning for us. Basically he doesnt like to work hard. And he expects me to earn the amount gor him to buy those things. I have already warned him twice that I would leave him if he doesn’t stop abusing me and make an effort to study. He then slightly started to make an effort to study but he is like 2 days to go for his exam and he is unable to clear even the mock tests. I am just feeling very distressed coz as I told you we have been engaged from a very long time and I am feeling very bad that I ever started this relation. I want to leave him but am feeling a lot of guilt. I want to start afresh in life and want to live independently with myself for atleast a year before I really choose anyone. I dont want to feel desperate afterwards if I am to leave him forever. Please advise. Am I taking the right decision.? Will I be able to live without feeling insecure anymore? Please help. Hi Dear Passion, I replied to this along with your other post. You MUST have a ZERO TOLERANCE FOR ABUSE and LEAVE THIS RELATIONSHIP TODAY! The two books Stop Being the String Along and Know Yourself will help you greatly with self esteem, and what to NEVER allow in your life in relationships. I’ve been where you are now, and have transformed it all. I know YOU CAN TOO! If you want to learn how to receive REAL answers about anything that is troubling you – check out the book If God Hears Me, I Want an Answer!. This is HOW I transformed it all, and I had a LOT of transforming to do! Hello Barbara! I just discovered you and your website this morning. I’ve had a very difficult weekend with my parents and sister trying to lecture me on my life choices. (I’m 43 years old by the way) I just finished journaling and sorting it all out in my head and learned from the experience…..then I instantly found you! I’m a divorced single mother and my boyfriend is 23 years my senior. He is the cause of contention between me and my family. They don’t like the age difference. He is youthful, looks 15 years younger, is in excellent health, and has more energy than me! I have been the happiest I have ever been in my life and often thought we were soul mates. We have a supernatural connection and did from the instant we met. Neither one of us expected our relationship to develop into what it is today (we have been together over two years) After learning from you that his issues trigger my growth and then my growth forces him to grow….OMG! I am a true believer now that we are together for a reason much bigger than ourselves. We give out such a positive and powerful energy. Strangers often approach us just to speak to us. When we walk into a store or a restaurant, people always look at us and watch us. We are both humbled by being granted the gift of finding each other and having the knowledge to know how rare it is to find the love of your life. We plan on enjoying every moment despite the age difference. Thanks for giving me the validation I needed. I cannot possibly expect my family to understand this. It is way beyond their ability right now for where they are on their journey. I have made the decision to no longer let their views and close mindedness bring me down anymore! Just keep being your wonderful self and enjoy the beautiful love you have found. What a precious gift! Barbara, I came across your articles trying to find out if finding your soulmate means everything becomes an easy ride. Reading this article, and another where you pointed out that there will be challenges and everything won’t be easy, provided such relief to me. I wasn’t sure my boyfriend was my soulmate, but when I finally put everything into perspective: how we met (online), how we were drawn to each other (our passions for music), how much in common we had, the kind of goals we both have, and how he scares me by knowing things about me I don’t want to admit, and then ultimately how comfortable he feels with me, how I enjoy his smell, how he’s the only person I’ve truly felt inclined not to give up on, the one person I can’t run away from, who makes me want to be better, I know … God, now I know! This weekend has been really awful. He said he was having second thoughts about me because I hurt him really badly. I was trying to sabotage the relationship because I had fears about our future. I thought he’d want to break up with me and felt that he’d forget me. But I was so wrong. I was really wrong. I blame my ego, I blame my insecurities that he brings to light, and I lash out at him for it, but reading your article really finally put everything into perspective. I just need to remind myself daily of your helpful words and I hope we’ll finally be happy for the long haul! What a beautiful post you wrote. Everything you said is so true. I started smiling (because I’ve been there) about the break-ups and the fears. Hopefully time and REAL open communication despite the fears will be of enormous help. He can’t forget you either! Remember that. Barbara, your writings are the FIRST that I have ever read that comes anywhere remotely close to what we have gone through & have been feeling. So far I’ve read two of your books, but the topic of Soulmates is what intrigues me the most, because all of what you have written pertains to me & my love right now. Thank you so much. Thank you so much, Marsha, I know how hard it is to stay, then leave. I pray the new book will bring you much more to help you! Thank you for this post. What if you feel in your heart that you had your soulmate but lost them because they were no longer happy and wanted to be with someone else? The guilt and regret from not being better and losing them feels paralyzing. You ARE “better”. This is really part of the growth process needed called “SELF LOVE”. Perhaps you will get back together years from now. Focus on YOUR life, create the best you that you can and leave the rest to destiny. When you have a huge amount of self love and are your own best friend those old paralyzing feelings change. You ACCEPT what IS NOW and TRUST that this period is for your highest good. I can promise you that. Thank you so much. I really hope it helped you!